You’ll rarely hear me use the V words in relation to a Freely Whole – Good for You-Naturally! lifestyle of eating. If you’ve read what I teach, you’ve seen that this way of eating could be classified as either of the V words but I don’t generally use them, nor advertise freely whole/ Good for You-Naturally! as either. Why? Vegan and Vegetarian can be useful terms, but they can also be quite confusing. They tend to tell more about what you don’t eat than what you do, and can be envisioned as many misleading stereotypes. I’d already composed a rough draft of this post when this truth hit even harder when someone shared a completely twisted “research study” with me, showing the opposite of all the other studies in this area–a minimum of many hundreds of them. They’d heard this latest finding on the radio. I took the time to look up and read the entire report, that did technically have those findings, but was not a well put together study. The researchers even noted that they were afraid people would read too much into the results and draw conclusions that would not line up with hundreds of other more specific studies. The results were about “vegetarians,” with no defining of what those vegetarians did eat. Which is exactly why I don’t use the terms much. You’d think with the “veg/veget” in vegan and vegetarian that you should be able to guess that these are people that eat vegetables. Not so! Perhaps at one time, once upon a long time ago. But today you don’t have to grow a garden or shop the produce aisle to be either. A vegan is someone who doesn’t eat any animal products. But that doesn’t tell me what they do eat. They may live on Oreos and Pepsi, sugar and potato chips, margarine and meat substitutes. They may be an animal rights activist that “cares” more about unknown animals than their own health. It shows. They have the same diseases/lack of health (if not more) than those eating the S.A.D. (Standard American Diet). Theirs is just V.S.A.D.–Very SAD. I’ve known vegans like that. Their end was very sad indeed. Vegetarian is even more crazy confusing. Vegetarians don’t eat animal flesh–meat, but they might eat/drink dairy and/or eggs. This tells me even less about what they do eat. They could be eating all the same things as the Very SAD people above, with cheese, ice cream, yogurt, whey isolate protein shakes, butter, and omelets thrown in. Or even just these things! Again, it tells me nothing about what they do eat, nor their commitment to health seeking. Are those types, listed above, better “Vegans” or “Vegetarians” than someone who eats primarily fresh vegetables, fruits, and whole grains but has a little honey now and then, or a glass of raw organic milk on occasion? That judgement will likely depend on which side of the fence you are sitting, and if you believe eating should primarily be health promoting, leading to vibrant life. Rather than being defined by what is not eaten, a lifestyle of eating (at least for health) should be defined based on what is eaten. Because your health is based on what you do eat, far more than just what you don’t. And what we eat should be based on what provides us health, foods high in the micro-nutrients our bodies need to function their best. So what do we call ourselves that is descriptive of what we do eat? What do we call it when we eat for health? 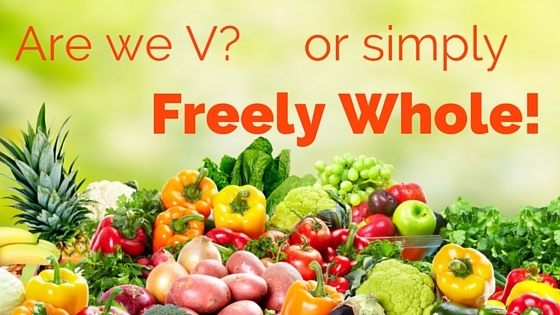 I call it freely whole, foods that are Good for You-Naturally! that we can freely eat for optimal health and weight, that provide the most micro-nutrients per calorie. 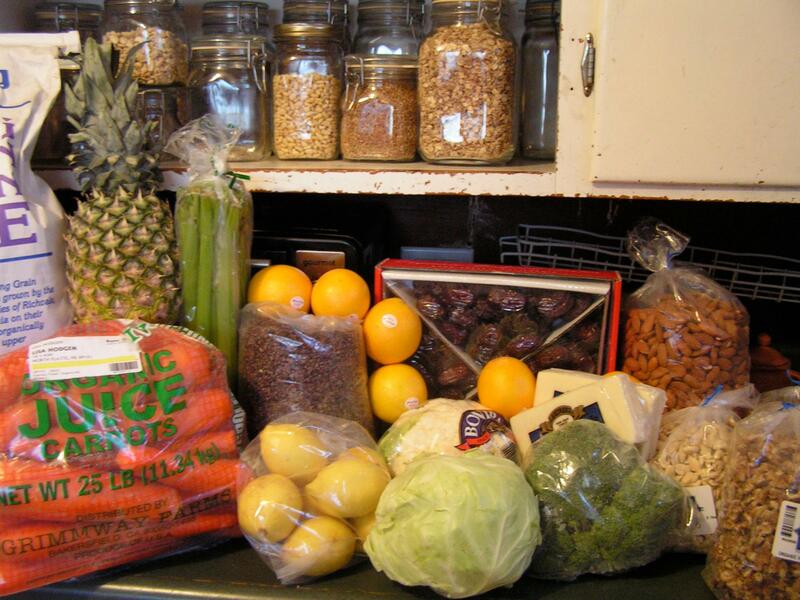 Real, whole, living, organic, fresh fruits, vegetables, nuts and seeds. Or, as others may say, whole food plant based. Whole Food Plant Based, or WFPB. I like that term. It tells what we do eat. Plant foods in their whole form. It allows for variation in teaching, preferences and individual body needs, while still being health focused. Although I really like the idea of WFPB being descriptive of the foods, not us, I also like the term Nutritarian, coined by Dr. Joel Fuhrman. It does tell something about me and what I do; that I eat for nutrition, high nutrient content foods. So what’s the point of this post? Our lifestyle of eating is important to us. But is it important that we have an easy way to describe it? Does it matter what we’re called or call ourselves? Having an easy way to describe our lifestyle of eating can be very helpful. Whole Food Plant Based gives a clearer picture than the typical V words. 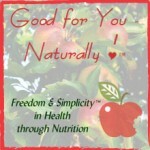 To differentiate my teaching, I’ve called it Good for You-Naturally!™ since the early 1990s. 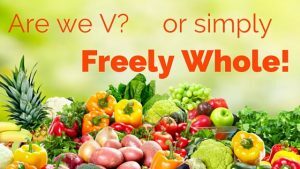 I’m pleased to announce a coming change to simply, Freely Whole™. In reference to food: Freely, because we are told in Genesis 1:29 that we can freely eat of the fruits, vegetables, nuts and seeds God gave us to be our nourishment; Whole, as it is whole, God-given plants that we eat, not man-man adulterations and concoctions. Beyond being descriptive of the food we eat, Freely Whole encompasses much, and is in line with the foundation of this ministry on so many levels: “and the very God of peace sanctify you wholly; and I pray God your whole spirit and soul and body be preserved blameless unto the coming of our Lord Jesus Christ.” ~ 1 Thessalonians 5:23. May you be simply Freely Whole. And your eating be Whole Food Plant Based. How do you describe your lifestyle of eating for optimal health? You know how some people age terribly, but other people just never seem to age at all? Why is that? Until recently, most people thought it was all genetics, but it turns out it has a LOT more to do with what you eat (and don’t eat). Take the Anti-Aging Quiz now and find out how what you eat affects your ability to look and feel your best through the years! This fun quiz was developed by John and Ocean Robbins at the Food Revolution Network. They’ve written extensively about the relationship between food and aging, and they live what they teach. John is nearly 70, and he and his son, Ocean, have run marathons together! Aging does NOT need to mean an inevitable slide towards more and more prescription drugs, decrepitude, and misery. In fact, I believe your best years ever are in front of you. Click here to take the quiz and find out how your diet is working for—or against—your long-term wellness. John and Ocean are also the hosts of the annual Food Revolution Summit where they interview 25 of the top experts in the world on the relationship between food and health. The best part is if you take the quiz, they will gift you a free registration to the online summit! Here’s to aging gracefully and gorgeously! 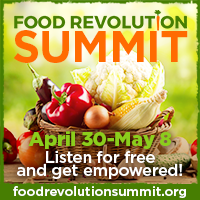 Join the Food Revolution Summit here and get the latest scientifically grounded breakthroughs. If you care about your health, and if you want to know how certain foods can help you fight disease and increase vitality, I invite you to join me for this game-changing online event. From April 30 – May 8, bestselling author John Robbins is personally interviewing 25 of the world’s top experts, scientists and celebrities in movements for healthy, sustainable, and delicious food. You’ll hear from food and health experts like: Joel Fuhrman, MD; Michael Greger, MD; Neal Bernard, MD; Dean Ornish, MD; Chris Wark; and many more. You’ll also get the latest breakthrough health tips to feel your best, sleep deeply, increase mental focus and lose weight. All while you discover how to support the health and longevity of your family and loved ones with the one thing we all love: food! I’m excited about this important event. Will you join me at this free and online summit? P.S. The food you eat daily is either hurting or healing your body. Get the latest news and insights from the top 25 doctors and food researchers on how to get “dialed in” on healing your body with food. So you can enjoy massive shifts in how you feel, your energy level and even your sleep. Perhaps you’re new to eating a whole food plant based diet and you’re wondering, “What can I eat besides Salads with Nuts & Seeds, and Green Smoothies?” Fruits, Veggies, Nuts, and Seeds. That’s it, right? Perhaps you aren’t so new (or maybe you are) and others are mocking what you eat as “rabbit food”. Salads and Green Smoothies are 2 staples, and fantastic for the minimalist, who wants supreme simplicity. 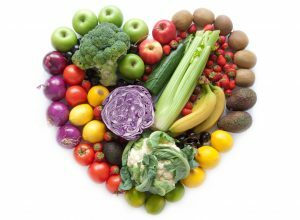 But there is a WHOLE lot more to Good for You-Naturally!™ whole and living foods than just a bowl of lettuce and tomatoes, or a blender of banana, apple and kale. Even just with the salad and smoothie options, you would never run out of variety. 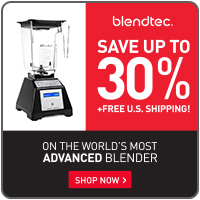 The number of fruits and vegetables we can eat, juice and blend comes together in new combinations every day. Beyond that we have nuts and seeds that provide another plethora of variety, even in their simplicity. It doesn’t have to be just nuts and seeds sprinkled on our salads, or blended into butters. Seeds can be sprouted for even more variety in our salads. Beans and grains are also seeds, that can be sprouted, or cooked and eaten in another huge variety of ways–including in Salads. Nuts and seeds can be blended into delicious dressings for those salads, and dips for those fruits and veggies. Throw beans, grains, and veggies into a pot with water and you have Soup. Another great staple, with an unending variety. But we can still go a lot further. The truth is, it is the SAD, Standard American Diet, that has little variety, just the same highly processed flours, sugars, and oils mixed together with different artificial flavorings for different pseudo-foods. The same few animal products, over and over again. But some of those products are our old comfort foods. We don’t want to go back to eating health destroying foods, but there are some things we miss. What can we do? Is there a solution? YES! Smoothies, Soups, and Salads are not our limit. They are just our beginning! Familiar foods can be enjoyed in whole new ways. Whether is be savory meal dishes, or desserts for our sweet tooth, we have options. 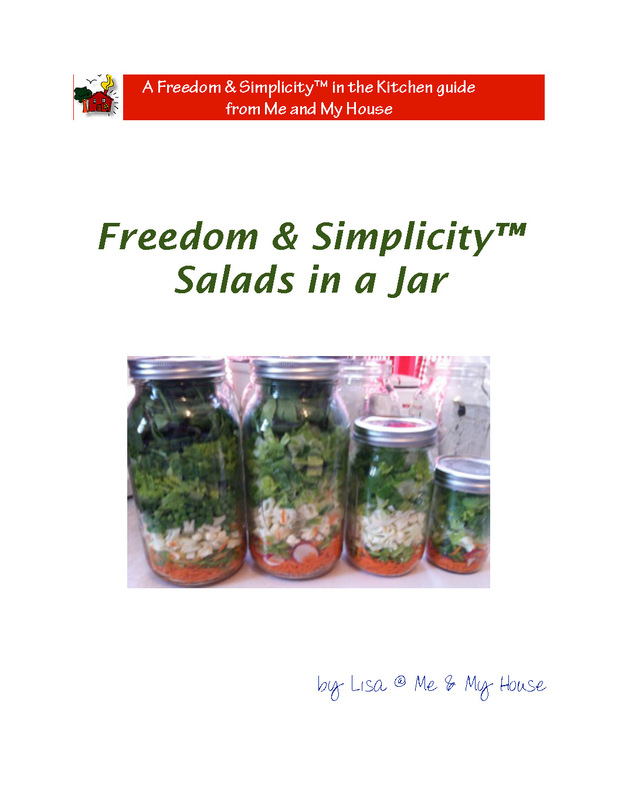 I try to bring you a variety of some of our favorite simple recipes here, to give you a glimpse of that variety. From Savory Mushroom Gravy to Avocado Pudding, and a whole lot in between. Subscribe to this blog to get my newly posted recipes (and all posts here, including those with other fantastic ideas for expanding your Good for You-Naturally!™ diet,) to your email. What’s your favorite recipe that you’ve adapted to whole food plant based? Did you know March is National Nutrition Month? This was declared way back in 1973. You’d think that with a full month every year for over 40 years for focusing on nutrition, that the health of our nation would have greatly improved since then. Do you want to guess whether Americans are healthier now than then? The answer is, No. But back to that original question, you (most likely) did not know this was National Nutrition Month. Although there has been plenty of scientific research, and the internet has brought an informational flood, there has not been great focus by the general public on true nutrition learning in that time. Oh, there have been a whole lot of food wars, and plenty of fad diets that come and go and come back with new names. Plenty of “research” paid for by huge fake food conglomerates telling us how their products are great for our health. Plenty of label hiding, label manipulation, calling artificial ingredients new names, and calling isolated, highly refined and manipulated “food” products “natural” that in no way resemble the whole plant foods they (or a small part of them) originally came from. But, in 40+ years we’ve just added a lot of confusion, and a plethora of more fake foods. More than 62% of what Americans buy and eat from the grocery store are highly processed foods, full of fat, sugar and salt, (and artificial ingredients,) and are no longer recognizable as original food ingredients. Add in the percentage of slightly lesser processed foods, that have artificial and harmful additives and you’ve got about 80% of your food calories. Add in a few more “natural” animal products, (more processed ones were already included–for a total of over 37% of the average American diet is animal products) and you get to the bottom line. Americans eat less than 10% real plant foods (and even most of those are prepared in a health harming way, i.e. the #1 (from)”fresh” vegetable eaten is french fries.) The Standard American Diet truly is S.A.D. 🙁 And I think most Americans know that much. There is no controversy on the fact that we all need to eat more fresh vegetables and fruits, and less “processed” food products. 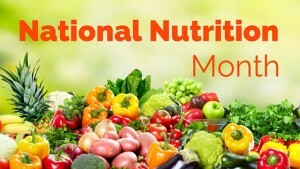 There are many resources to increase your knowledge of real food nutrition, but today’s tips are for helping you put nutrition into practice in your own life, during this year’s National Nutrition Month! Increase your consumption of fresh Dark Leafy Greens. This one change will greatly increase your nutrient intake. 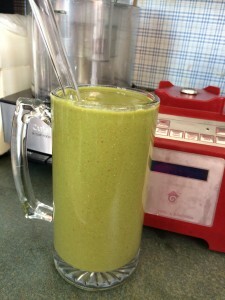 We naturally think of greens being salads, and that is important, but Green Smoothies are a fast and easy way to do this also. Begin each day with one for Breakfast. 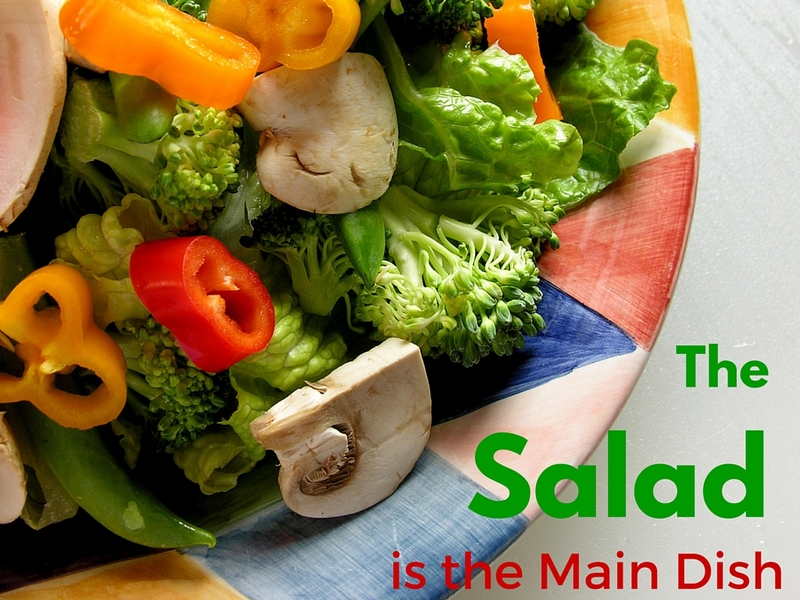 Make the Salad the Main Dish. This piggy-backs on #1, as it is going to increase your greens. 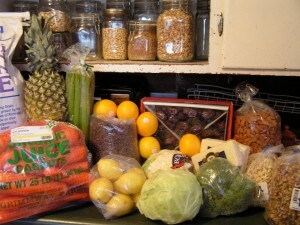 But this step is also known as “increase your consumption of fresh vegetables (and fruits)”. It goes beyond the greens to all the other colorful and nutrient-dense fresh plant foods that are loaded with phyto-nutrients and anti-oxidents. 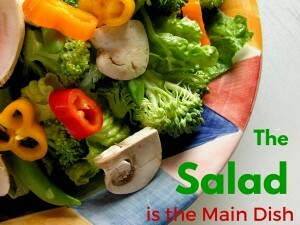 Eat a large salad, full of leafy greens, and a variety of colorful vegetables for Lunch and Supper each day. If you’d like to add other things to those meals, make the add-ins the minor players, keeping the Salad front and center. If you begin your day with a Green Smoothie, you’ve probably got your increase of fresh fruits covered. Plan ahead. All those great foods in your home aren’t going to do you any good if you don’t know what to do with them when you get hungry. Arm yourself with good recipes and menu plans. 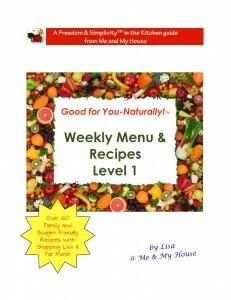 Begin to build your repertoire of your favorite whole and living real food recipes. Make ahead. Have things ready to grab and eat when you’re in a hurry. Some things don’t need any preparation, like many fresh fruits. Raw nuts can be easily and quickly packaged in grab and go amounts. Fresh fruit and raw nut butter is may favorite grab and go snack. Fresh veggies and hummus, guac, or dip can be prepped ahead. (Another fave.) Beans and whole grains can be cooked ahead and reheated quickly to add to meal recipes. Even Salads can be made ahead. Start Celebrating National Nutrition Month today, by beginning to implement the Tips above! Comment below about the steps you’re taking to Celebrate this Nutrition month! Inflammation is your body’s response to harmful stimuli, an attempt to remove the stimuli and start the healing process. When inflammation becomes chronic or overly intense it can become the trigger of many health problems. However, the FDA how now determined that inflammation itself is a disease. They are limiting freedom of speech about dealing with and overcoming it ourselves, and helping people understand health and make their own choices for living lives of vibrant health. The first amendment prohibits the government from banning speech because it does not agree with the message. And this is a prime example of an overstepping of bounds to protect big pharma from individuals sharing the benefits of natural inflammatories. We have been blessed in the last month to have 2 doctors agree with us in the use of our natural anti-inflammatory essential oils and products made with them, instead of their recommended oral cortisone, in treating our son’s nerve damage. Those things have totally supported his body to heal, without side effects and quicker than usual for these types of injuries. But this huge overstepping of the FDA by issuing such regulations is a gross violation against freedom of speech, just to squelch the return to natural sources that enable us to support health in our own bodies. Inflammation—The 3.5 Million dollar word. That’s right! Even though the dictionary defines inflammation as redness, swelling, pain, tenderness, heat, and disturbed function of an area of the body– the FDA has now designated it as a “disease.” Therefore, those of us who have natural approaches to dealing with it can be fined excessively if we refer to it, which is what happened to a sister company that is now responsible for paying them $3.5 million dollars.